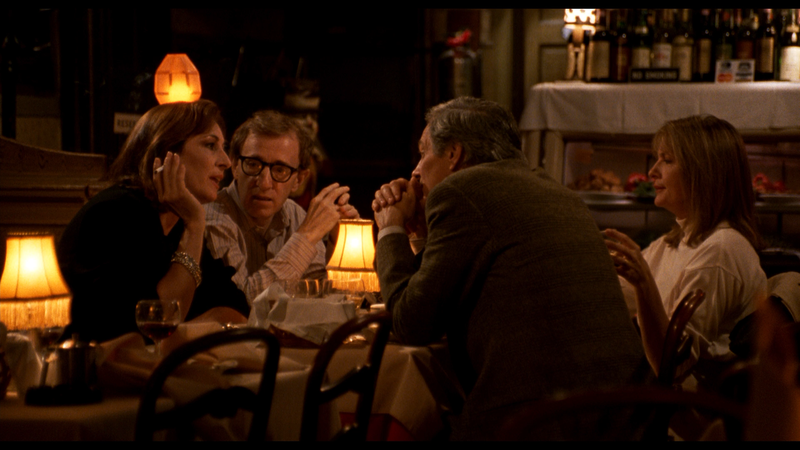 Manhattan Murder Mystery might not be one of my favorite Woody Allen movies, it is certainly one of the more entertaining ones featuring a great performance from Diane Keaton. Plot Synopsis: Larry Lipton (WOODY ALLEN) and his wife, Carol (DIANE KEATON), are adjusting to life with their son away at college when they meet their older neighbor, Lillian House (LYNN COHEN), and her husband, Paul (JERRY ADLER). Upon hearing of Lillian’s sudden death, Carol grows suspicious of the circumstances surrounding her demise and comes to believe Paul may have killed her. Unwilling to let her curiosity subside, she convinces Larry, who mostly resists, to join her in getting to the bottom of the mystery. 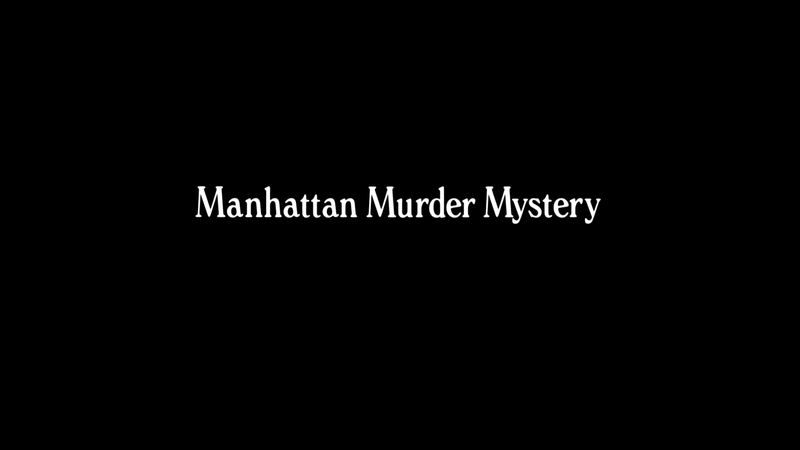 Quick Hit Review: Manhattan Murder Mystery is a film of course I’ve heard of but for one reason or another had yet to see. 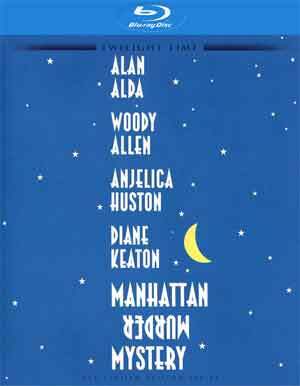 As a fan of murder mysteries in general, this Woody Allen written and directed film hit the right spot with plenty of the Woody-isms from his neurotic character and reuniting with his Annie Hall and Manhattan co-star, Diane Keaton, who was the central character with Allen taking a bit of a backseat to plenty of “talky” scenes like one around a dinner table where an author played by Angelica Huston surmises what happened, much to the confusion of this conversation by those around them in one of the funnier scenes. This release comes with an 8-page booklet. The only feature included is the Original Theatrical Trailer (1:43; HD). Manhattan Murder Mystery is the 16th Woody Allen film to be released by Twilight Time and the 1.85 widescreen aspect ratio and 1080p high-definition transfer does look rather good. It is pretty much has the same grading as other Allen movies meaning colors move more towards the natural spectrum and skin tones are a bit warm. Detail, though, is generally sharp and I didn’t really notice any major instances of dust marks, scratches or other flaws. The DTS-HD Master Audio Mono track is basic but alright especially considering the bulk of the movie is dialogue heavy. Coming out of the center speaker, dialogue is rather crisp and clean and outside of some minor noise, it’s perfectly satisfactory. 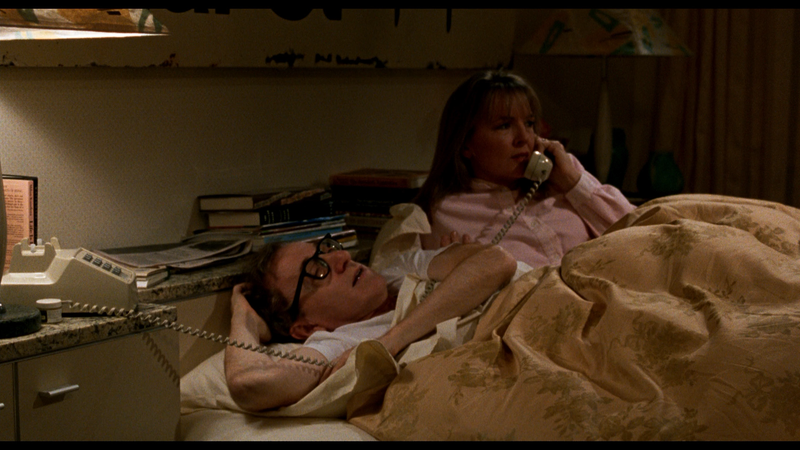 Overall, Manhattan Murder Mystery might not be one of my favorite Woody Allen movies, it is certainly one of the more entertaining ones featuring a great performance from Diane Keaton. The Blu-ray released by Twilight Time has good video/audio transfers but the usual lackluster features are disappointing nevertheless.